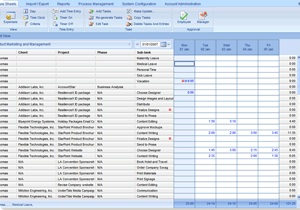 Office Timesheets is a web-based commercial timesheet that is a highly configurable timesheet tracking and management software application designed to adapt to the specialized needs of project-driven organizations that require employee time capture and time reporting for accurate job costing/accounting and/or billing of professional services. 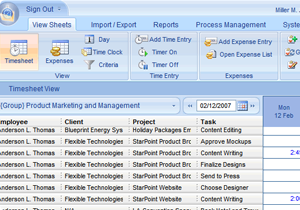 Office Timesheets is a professional employee time and expense management application. 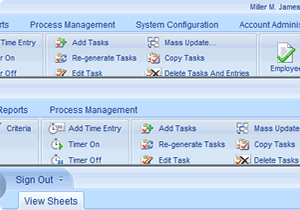 With Office Timesheets, tasks are created for users to enter time against, which can later by used for detailed cost and/or budget analysis, generating employee payroll, estimating future projects and/or job time and costs, client or internal billing, governmental and contractual regulatory compliance and much more.